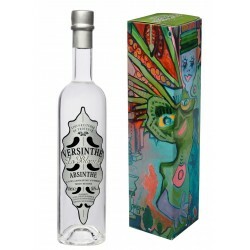 It was in 1999 that Pascal Rolland, CEO of the LIQUORISTERIE DE PROVENCE reintroduced absinthe, after an 84 year ban in France, with the Versinthe brand. Bringing a myth back to life is not a simple task. It took him over a year’s work and the collusion with Marc Villaceque, expert liquoriste, to arrive at what we consider perfection.For nearly two years Versinthe would be the only legal absinthe in France. Versinthe would go on to win over 20 professional tasting contests in numerous countries (USA, England, France, Luxembourg, China…. ), finally obtaining in 2007 the very prestigious award of “Entreprise du Patrimoine Vivant” . Absinthe There are 4 products. 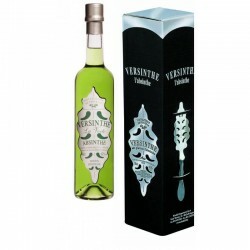 It is from this unequaled recipe that Versinthe acquires its finesse and complexity, and has become the reference for absinthe in the nation of France, as in numerous world competitions. Case containing two bottles of 10clVersinthe La Blanche La VerteAnd an absinthe spoon. A true Absinthe spirit, “La Blanche” is the only alcohol in the world that is vacuum distilled at a low temperature (48° Celsius). This technique, used in the production of essences and perfume, allows us to sublime the delicate plant aromas. High temperatures would burn the subtle aromas.